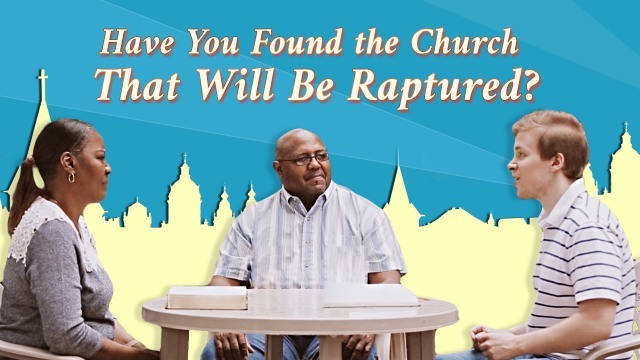 Have You Found the Church That Will Be Raptured? The Rapture: We Shall Meet the Lord in the Air? Does the rapture in the biblical prophecy refer to being raised up into the air to meet the Lord? Let’s explore the real meaning of the rapture. Today’s fellowship gave me a true understanding of rapture. I no longer think rapture means being lifted up into the air to meet with the Lord. Why is it that the church of Almighty God has become more and more prosperous while the churches of the Age of Grace are all so desolate? The answer from God’s word: “The clearest expression of the Holy Spirit’s work is in embracing the here and now, not clinging to the past. Those who have not kept up with the work of today, and who have become separated from the practice of today, are those who oppose..
Will We Be Raptured in an Instant When Jesus Returns? By Xien Westward declined the sun; the sunset’s afterglow tinted half of the sky and the evening glow appeared especially beautiful and dazzling. Su Mingyue, sauntering on the pebble road in the park, looking thoughtful, didn’t have the heart to enjoy such a brilliant scenery. A breeze stirred the tips..
Where Is the Kingdom of God? In Heaven or On Earth? Question: The Lord has promised to us, “I go to prepare a place for you. And if I go and prepare a place for you, I will come again, and receive you to myself; that where I am, there you may be also” (John 14:2-3). We know that the Lord has..